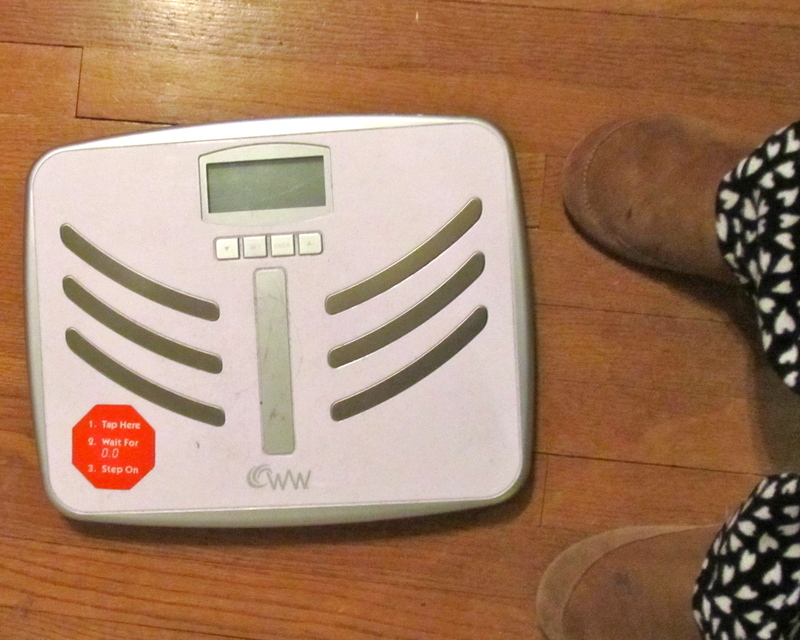 This morning, I just couldn’t step on the scale and take a photo. I snapped this before I decided to bite the bullet and see what the scale said (which was 220). I have promised to use this blog to honestly share the ups and downs of long-term change, and this week is one of the down-er moments. Everything is going well – there haven’t been any major incidents or anything to cause concern – just my internal struggle to make good choices and to live congruently with my values.